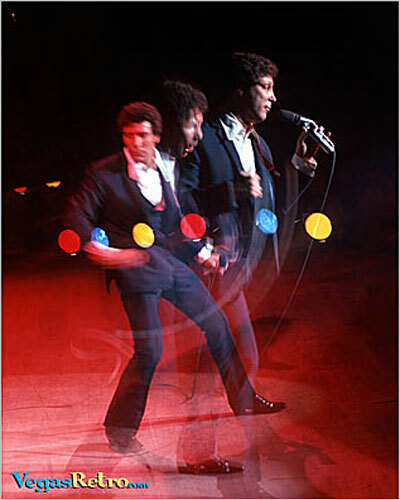 Famous for his hot moves, Tom Jones is captured on stage in Las Vegas doing his moves. Photographer Robert Scott Hooper created the image with slow shutter speeds and multiple exposures on one piece of film. Something easily done today in photoshop, in those days it could only be done with planning, timing and luck to get a shot like this.